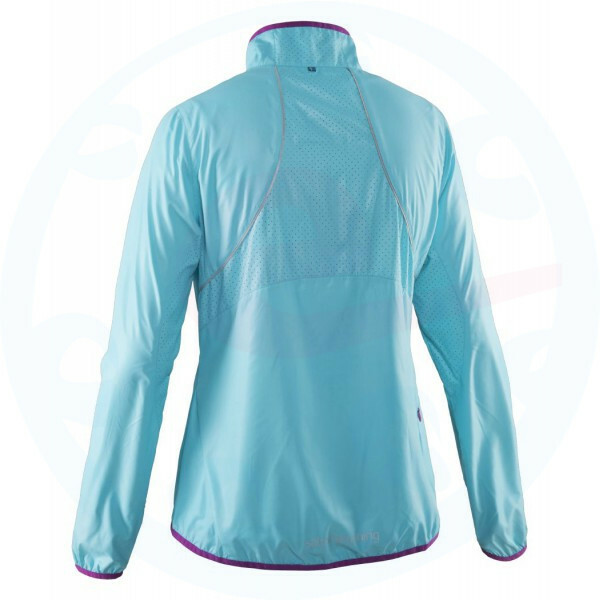 This is light jacket is made from 100% woven polyester. 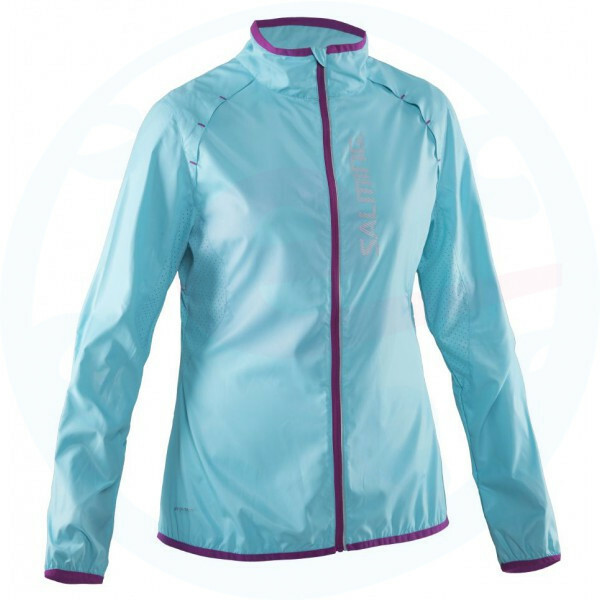 It is used as an outer layer to protect against wind, light rain or less, while it is well breathable. Has a lot of reflective elements and a hidden pocket in the side seam.